Dieng Plateau which literally translate as ‘Abode of the Gods’ is one of the most lovely and archaeological rich highlands in Indonesia. The misty landscape with its bubbling craters, sulphurous springs, coloured lakes and collection of pretty small ancient temples make this place a world apart from the tropical island of Java. The route up to Dieng is stunning, passing through terraced fields of potatoes, onions, cabbage and carrots where you can witness locals busy with tilling the land or harvesting the fruits of their labor. Drive through the tea and tobacco plantations of Sindoro-Sumbing valley to Yogyakarta, the cultural centre of Java, to visit the UNESCO Heritage Sites of Borobudur and Prambanan where you can immerse in the rich cultural heritage of Java. Fly direct from Singapore Changi Airport to Adisucipto International Airport. Upon arrival, you will be picked up by our friendly driver to your hotel in Yogyakarta. In the afternoon, you will visit the two centuries old Sultan’s Palace (Kraton) where the current Yogyakarta sultan and his family still reside. The Javanese dominated style complex consists of the sultan residence, throne hall, performance pavilions, mosque, museums and an immense royal garden. Catch the regularly performed Gamelan music and classical Javanese dances and look out for the bare footed palace guards in their traditional customs and Keris. Visit the Water Palace (Taman Sari) a partly ruined complex built as a pleasure garden by the first Sultan and be marveled by its large artificial lake, bathing pools, labyrinth network of tunnels and chambers and an imposing mansion of European design. At night, visit the shopping district of Jalan Maliboro for souvenirs, handicrafts and street foods. After hotel breakfast, you will be transferred via private vehicle (~3.5 hrs. 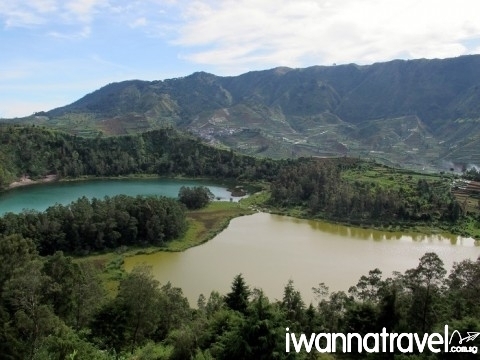 drive) to the Dieng Plateau (also known as Abode of Gods) – a lofty 2000m tall highlands dotted with ancient temple ruins, steaming volcano craters, mineral lakes and villages. 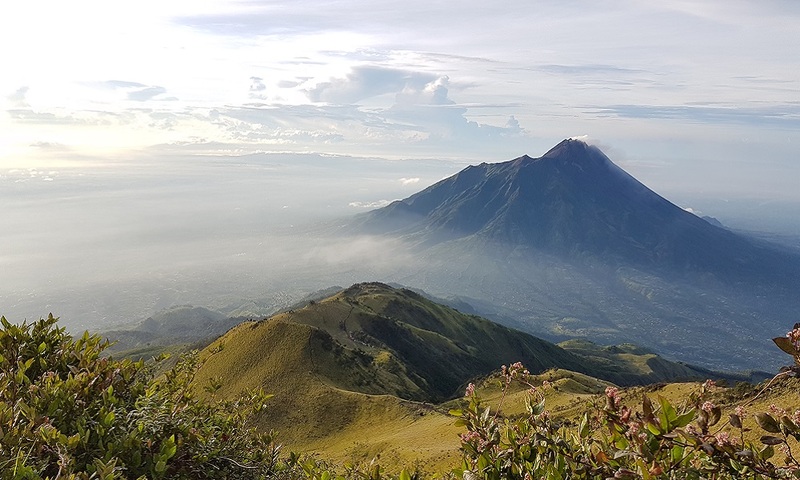 Along the way, you will be able to see a very dramatic mountain scenery as we travel through the Sindoro-Sumbing Valley interspersed with tobacco and tea plantations. Walk through the beautiful landscape watching locals tending their terraced fields of potatoes, onions, cabbage, carrots, etc. Roam around the 7th century Arjuna temple complex – a collection of small attractive temples that are probably the oldest surviving religious structures ever built in Java. These attractive small temples built a century or two before the great temples of Borobudur and Prambanan provides a glimpse of ancient Javanese culture and architectural style. Get up close with Kawah Sikidang an active volcanic crater with steaming vents and bubbling mud ponds. Be mesmerized by the tranquil Telaga Warna Lake which changes colour with the times of the day. Proceed back to your hotel in Yogyakarta for rest and relax. Enjoy a leisurely one-hour drive through scenic villages and padi fields to Borobudur – the biggest Buddhist monument in the world. From a bird’s eye view, Borobudur which sits on a square base with four entry points supporting a hemispheric body and a crowning spire forms a mandala, a geometric aid for meditation. The structure in the form of a stepped pyramid consists of 10 levels – six rectangular storeys, three circular terraces and a central stupa forming the summit – which represents the ten levels of a Bodhisattva’s life which he or she must develop to become a Buddha or the awakened one. The rectangular storeys contain galleries of carved stone reliefs depicting moralistic fables and Buddha’s life from the Jataka tales. 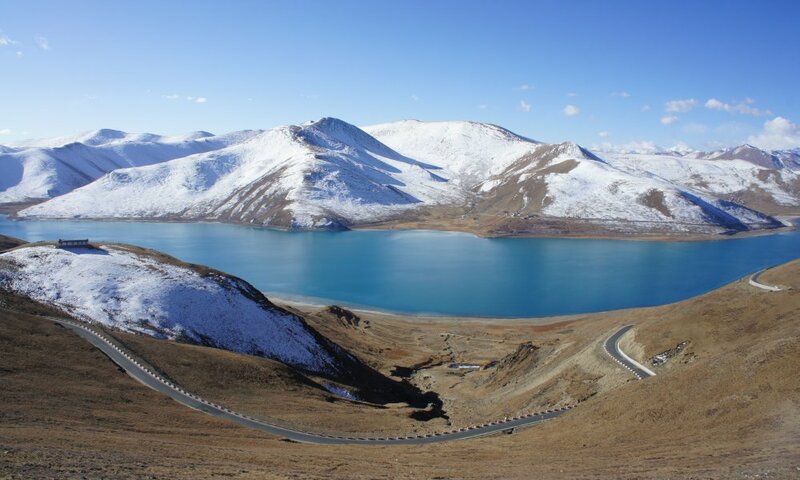 The top level terraces contain circles of mini stupas of Buddha statues in various mudras (meditative hand gestures) facing outward from the temple. In the afternoon, you will visit Prambanan, a Hindu temple complex and a UNESCO World Heritage Site, built around AD 856 to commemorate a major battle victory. The complex which is situated inside a large, pleasant and visitor friendly park consists of 224 temples (many are in ruined state); the most important of which are the three restored temples Candi Siva, Candi Brahma and Candi Vishnu, each dedicated to the three principal Hindu gods of trimurti. In the evening, visit Parangtritis beach, a wide stretch of black volcanic sandy beach with big surfing waves backed by dramatic jagged cliffs. You may ride on horse drawn carriage or try out ATV (All-terrain vehicle) along the beach while waiting for sunset over the Indian Ocean. After enjoying your breakfast in your hotel, you will be transferred to Adisucipto International Airport for your flight home. Need more information on Borodudur? 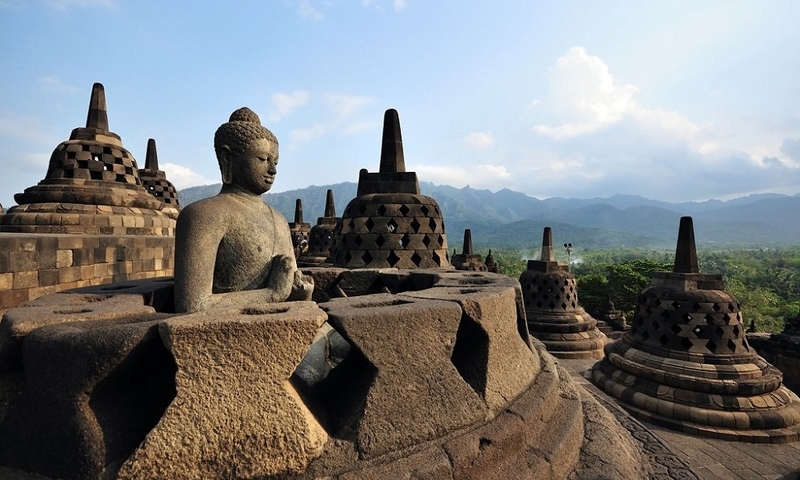 Read through our Borobudur FAQ to get them answered!